Newer property conveniently located just off of I-229 with easy on/off access. If traveling via the I-90 corridor you ll find our location to be just what you need for easy accessibly to just about anything. We boast 56 well appointed guest rooms all of which include free wireless high speed internet hair dryers and coffee makers. Treat yourself to one of our jacuzzi or business suites. Our Jacuzzi Suites include all of the standard amenities plus a whirlpool tub Iron and Board microwave/fridge sofa sleeper and recliner. Our business travelers will enjoy the additional space in our Business Suite. All Business Suites include a recliner sofa sleeper iron and board and microwave/fridge. Start your day off right with a complimentary deluxe continental breakfast. Pet Fee- 10.00 per night per pet. Our indoor corridors and elevator make getting to your room safe and fast. After a hard day of work or shopping at one of our nearby shops relax in our indoor pool and hot tub. Its a great way to end the day. 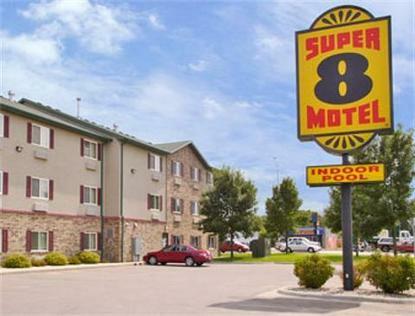 Whether traveling on business or pleasure you will find what your looking for at the Sioux Falls Tenth Street Super 8. Were proud to be a Pride of Super 8 and our staff is ready to handle all of your travel needs. We look forward to serving you. We ll see you along the way.